Voters in 12 cities across the Cizîrê Canton of Rojava went to the polls yesterday in order to elect municipal councils, explains an article in Özgür Gündem. Polls opened at 8:00 AM local time and voters were able to cast their ballots until 08:00 in the evening. 160 polling stations were opened in Dêrik, Girkê Legê, Tirbespiyê, East Qamişlo, West Qamişlo, Amûdê, Dirbêsiyê, Serêkaniyê, Hesekê, Til Koçer, Çilaxa and the towns of Ebu Raseyn. The voting marks the first time free elections have taken place in the region on this scale. The voting took place as YPG/YPJ and allied forces were defending the canton from an ISIS offensive along a 180 km front from Serêkaniyê on the Turkish border to Til Hamis close to the border with Iraq. 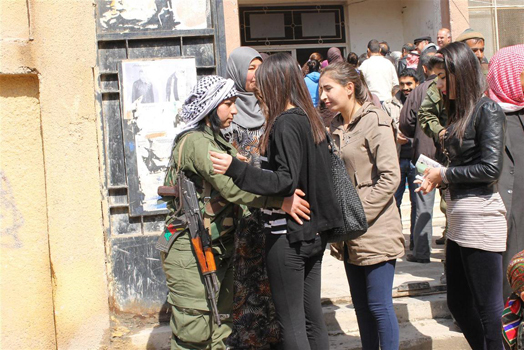 The Rojava Public Protections Forces (Asayiş) in cooperation with the Syriac Public Protections forces affiliated with Sutoro provided security for the voting. 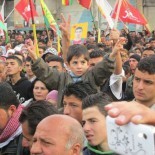 A delegation from South Kurdistan was also present in Rojava in order to monitor the elections. According to the list published by the Rojava High Election Commision 565 candidates stood for 12 municipal councils. Of those 565 candidates 237 were women and there were also 28 were Arab, 23 Syriac, 8 Qeldani, 8 Asûrî, and 1 Chechen standing in the elections. 77 candidates were running in Qamişlo, 50 in Tirbespiyê’, 32 in Girkê Legê, 24 in Çilaxa, 51 in Dirbêsiyê, 25 in Ebû Raseyn, 30 in Amûdê, 69 in Hesekê, 52 in Serêkaniyê and 50 in Dêrik. 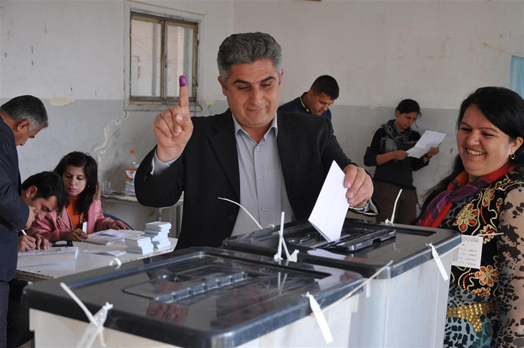 The elections in Til Temir were postponed until a later date citing security concerns owing to the ISIS attacks. This entry was posted on March 14, 2015 by --- in Uncategorized.